“Is this what you want to do? Is this how you picture exploring music?” These were the questions Bobby McFerrin says he asked himself when still very young and thrilled by listening to Keith Jarrett’s piano performance. The vulnerability of a person alone on a stage had always fascinated him, and made him wonder if he could, as Jarrett, capture the essence of a song, its harmonies, and capture his own essence – and only then, sing the same way Jarret played the piano: with his heart and in his own unique and personal way. He spent almost three years alone, singing, writing, listening and getting acquainted with his own voice. During the first two years Bobby did not listen to other singers – he was afraid of being influenced by some other singing style, convinced that this would make him turn away from his own style. He needed to discover himself, learn and take ownership for the sound he created, get to know and explore the possibilities of his own voice. His ability to improvise was also a challenge to overcome. He wanted to discover the pleasure of moving without knowing exactly where to go… of letting himself go as a child does, without being guided by theoretical knowledge. He then spent many other years working out his own way to improvise – in his words, overcoming the fear of improvisation, the fear of taking risks, of looking like a fool and not having enough ideas. 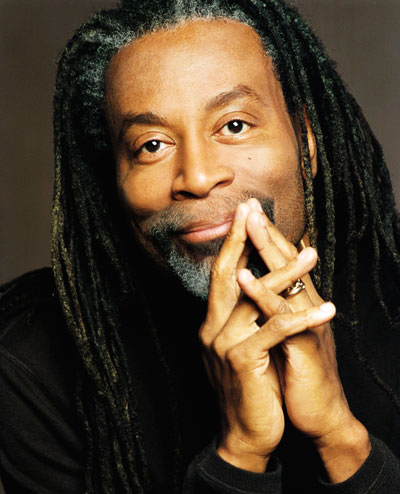 Today, over 30 years later, Bobby McFerrin is known worldwide as one of the greatest talents of contemporary music. In addition to the musical genius in every note his voice sings and every gesture he makes, rare plainness and elegance become evident from the perfect harmony of what he does, what he looks like and who he really is. Bobby McFerrin’s truth can also serve as an allegory for each of us. After all, there is nothing more beautiful, elegant and enjoyable than being and acknowledging oneself as unique, listening to one’s own voice, expressing one’s essence, not fearing the unknown and experiencing the joy of keep moving. And that’s what really matters.